The first horse of todays Stats Accumulator with Sky Bet comes from Chepstow in Wales over the jumps in the Class 4 maiden hurdle over 2 miles and we have selected Harambe to go on and place. This Alan King trained five year old is a horse who showed a lot of potential in bumpers last year and took a really nice Grade 2 contest at Aintree last season. On his hurdling debut today and could be a really smart type over the obstacles this year. Alan King is in spectacular form at the moment and has a strike rate of 32 percent for his horses over the last 14 days. With this, when he links up with the jockey on board today Tom Bellamy they have a strike rate of 22.73 percent over the last year. The second horse is todays bet is again at Chepstow in the Class 3 handicap hurdle over 2 mile 7 1/2 furlongs. We have selected Settimo Milanese trained by Dr Richard Newland to go on to finish in the top four in this race. This six year old has been a very consistent performer so far this season with figures of 2112 in his last four runs. He was really good at Aintree recently and is due to go up five pounds for that run but is racing again today to beat the penalty. Dr Richard Newland is a trainer bang in form and over the last 14 days and is running at a 35 percent strike rate. This is the same for the jockey on board today, Charlie Hammond is posing a 28.57 percent strike rate for that last two weeks and when linking up with the trainer they are working at a 32.43 percent strike rate. The penultimate horse of the Stats bet today stays with the jumps but this time in Scotland at Musselburgh in the Class 5 handicap hurdle over 2 miles. We have selected the Tim Vaughan trained Lord Fendale to go o and win this race and off the back of his form in his recent runs compared to the rest of the field he has the leading chance. This horse is the longest traveller of the day coming 368 miles to race and when this has been the case his trainer has got a 24 percent strike rate with his horses. The final horse of the day in our Stats Accumulator with Sky Bet comes from Newcastle in the all weather meeting over 7 furlongs. 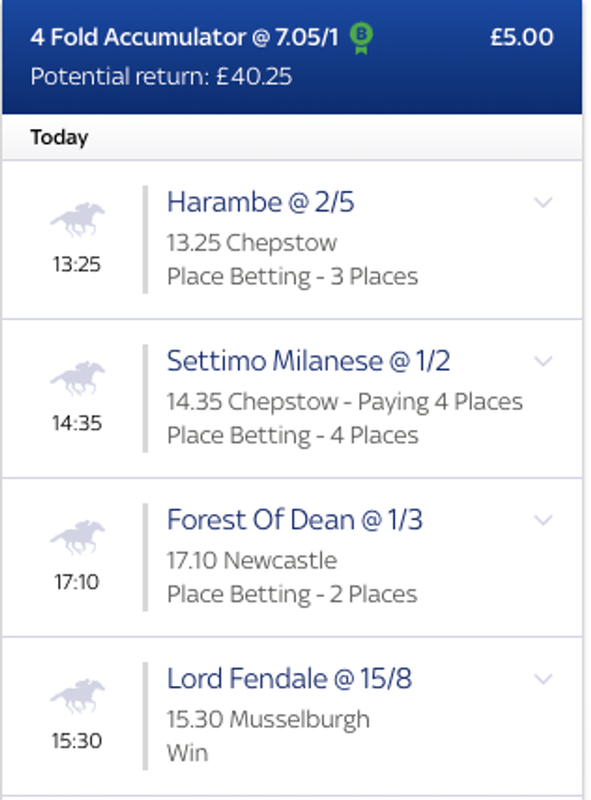 We have gone with the John Gosden trained Forest Of Dean to place. This two year old has only had two starts to date and has got better with every run. Last time out he showed clear promise at Doncaster when a good fourth and can improve from that today. John Gosden has a brilliant record at this track holding a 38 percent strike rate for the past year. 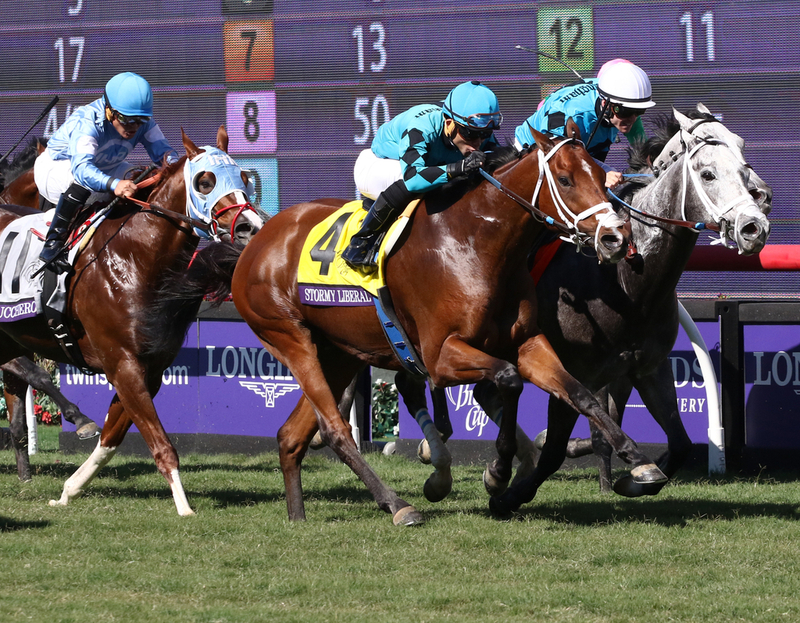 With this, when teaming up with this owners horses they are running at a 25 percent strike rate.